As good digital citizens, transparency is something we believe in whole heartedly. We treat each client with honesty, patience, and passion for helping them to succeed in the digital world. Our clients never wonder how their SEO actually works, we take the time to explain everything we’re doing. Infact, each client gets their own SEO Tracking Screen where they can see their progress, in real time, and evaluate how it’s progressing. Here are a few examples of how we can increase your website traffic and conversions. At the start they were getting around 200 visits per month and they were not appearing on page one of google for any keywords. Within around 6 months they were consistently at or near the top listing for all three keywords and had doubled their web traffic. 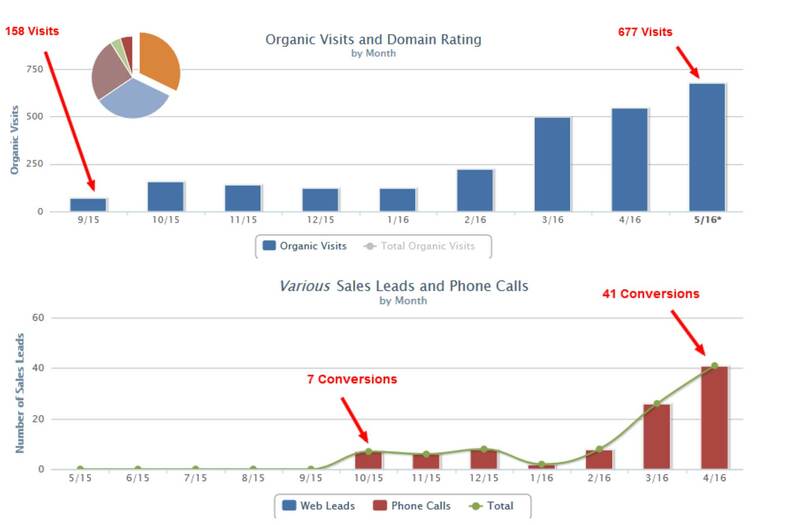 With optimized page content and clear calls-to-action, they saw significant increases in conversions and calls from their website. This client has been around for years but averaged 25 visitors per month to their website and generated barely any conversions. Using a Local SEO plan and a budget of $1,084/month, we increased their web traffic over 40%. By improving the web page design we also increased their conversions into actual sales leads by almost 60% within the year! This Tech Start-up wanted to generate traffic to their website for two competitive keywords. Rather than spread the budget across many less competitive words to gain rank faster, we focused our efforts on just those words, so we could devote more budget per word and therefore, be more competitive. Over the course of a year we managed to increase their organic traffic by 38% from around 700 to nearly 3,000 visits per month and get to page one for both words. A veterans disability law firm came to us because they wanted to generate sales leads by having people try their disability calculator software. We developed a plan to improve their backlinks and improve their visibity for the keyword “va disability calculator” by driving traffic to a page that includes their software opt-in form. Over the course of the first 3 months we created and promoted quality content that was back-linked by sewveral high quality websites. These backlinks generated thousands of additional visitors to their site and they are getting a ton of qualified leads from their form. 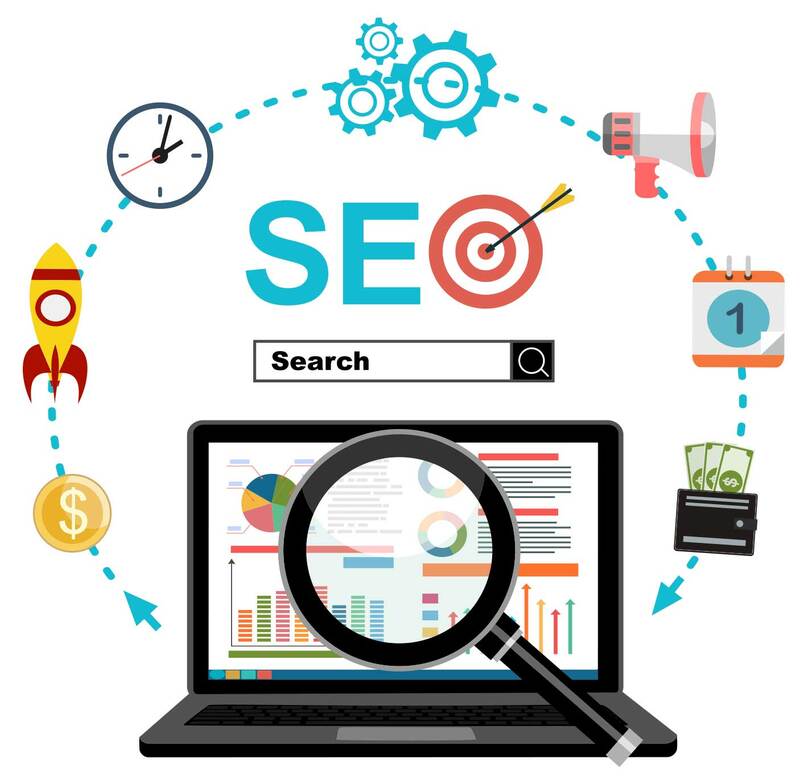 Still not sure if SEO is for you? Try a MICRO SEO CAMPAIGN for 30 days with no obligation to continue.